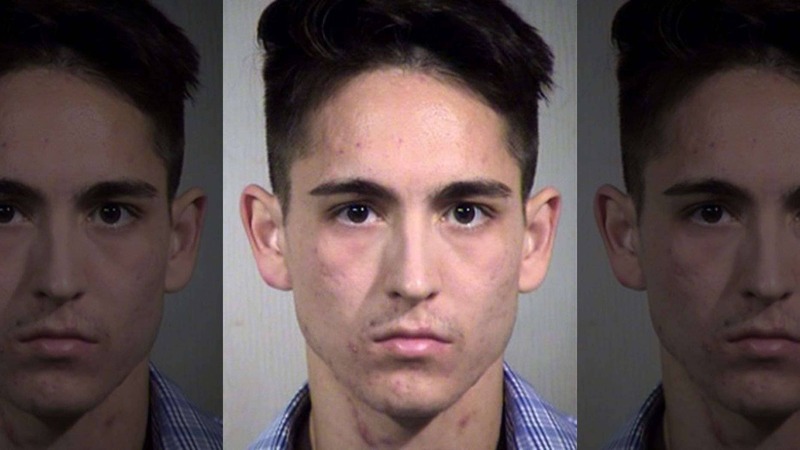 As per the officials, Phoenix Police has arrested a man who is suspected of biting off a part of his boyfriend’s ear during a brawl over alleged infidelity. Edward Anthony Lopez Gomez, 25 has been charged with biting the ear of his boyfriend Marcos Brito after a heated conversation between the two. As per the Police, the altercation took place when Gomez accused Brito of cheating. The altercation took place in the bathroom of an apartment and soon after the incident, the suspect Edward Gomez was taken into custody. The officers responded to a call at about 5:30 p.m. and found the holding a part of his left ear in his hand in the parking lot of the same apartment. Soon after the incident, the victim was transported to the hospital where the doctors reattached his ear and made sure he was fine. Brito then told the Police, that he and Gomez had been in a relationship for three years. He further stated that the altercation was verbal initially and it turned aggressive and physical after Gomez forced him into the bathroom. When interrogated by the Police, Gomez admitted biting the ear. However, he claimed that his action was purely based on the self-defense as he was cornered by Brito in the bathroom. Both of the men are claiming to be the victim and are blaming each other of initiating a fight. Gomez has been booked on the charges of aggravated assault at a Maricopa County Jail. The suspected has been held on a bond of $7,500. Gomez appeared before the court on Friday, and he is further scheduled to appear before the court on 14th of January.